William Harrison is retiring from his Springfield transmission shop after a fire, some bat poop and forty years of repairing cars for customers in Clark County. 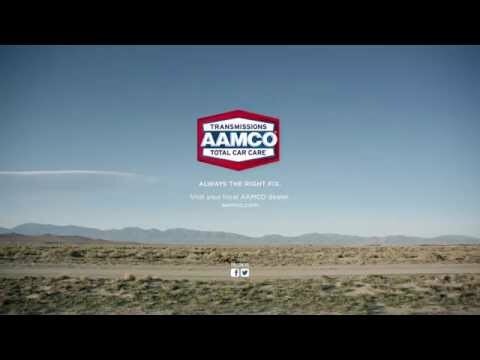 Harrison, an early franchisee for the AAMCO transmission chain, grew up on a farm in southern Illinois but moved to Columbus while working as an engineer in the oil and gas industry. What he really loved was working on cars though, so he used his savings and a loan to buy one of the few AAMCO franchises on North High Street in the city in in 1967. The chain had just started working with franchisees three years earlier. He ran that business for a decade until he was asked to look into a Springfield business when the previous owner became ill. One of his employees at the time asked about buying the Columbus store, and Harrison never looked back. Although it’s part of a national chain, Harrison said the business has been successful partly because he was active in his church and numerous community events. And he said his employees have been able to adapt well to changes in the industry, particularly as vehicles have become more complex. Now, employees have to be both computer technicians and mechanics, he said. When possible, he tried to buy as many parts as possible from local companies. “People still see us in the community and the money is not being pumped into a huge corporation,” Harrison said. The business has faced some struggles, including a fire that burnt the transmission shop to the ground in the 1970s. It took four months for Harrison to rebuild his business, and in the meantime his staff worked in a warehouse on Cliff Street that was used to store freight cars. But that wasn’t what Harrison remembers the most. “We had to watch where we parked our cars because the bats would poop on them,” he joked. Now, Harrison is passing along the business to Rob Adams, his stepson. Both the national chain and the Springfield business with its nine employees are in good hands moving forward, Harrison said. It will be difficult to leave, but he said he plans to let Adams run the business his own way to allow it to move forward. Still, his hands-on approach was one part of what made the business survive four decades. In the meantime, the business is celebrating its 50th anniversary with a daily trivia game and 50 days of prizes on its Facebook page, and an open house on July for customers.